I'm going to use Cerakote MC-5100 Aluminum clear on these. It's an air cure product and can be applied to any surface finish including polished. I'm also planning to use it on the front crossmember, steering rack housing, front hubs, etc. 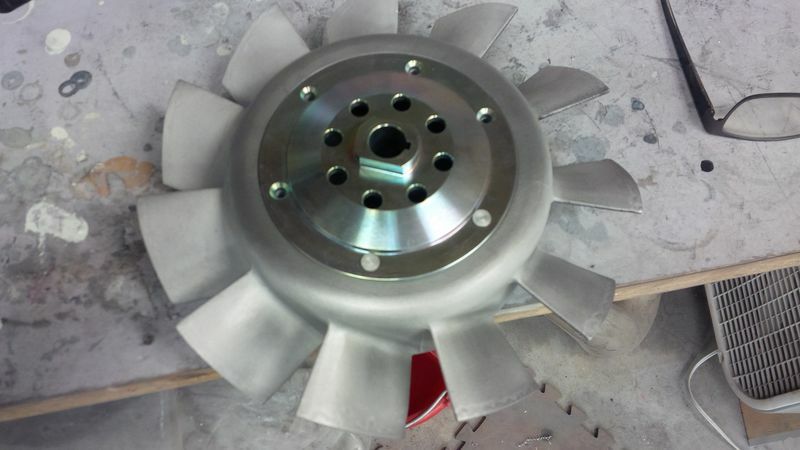 and also the bare magnesium fan and housing. I haven't had a chance to fully finish the fan yet but here's a peek. It's always the most work to make something look effortless, like it hasn't been messed with at all. That's what I'm going for. Jonny, do you think this product would be good for finishing RS wheel?